For all your paper crafting needs! We are excited that the warm weather is bringing back the green on the trees and flowers in our window boxes (the flowers should be here soon…). 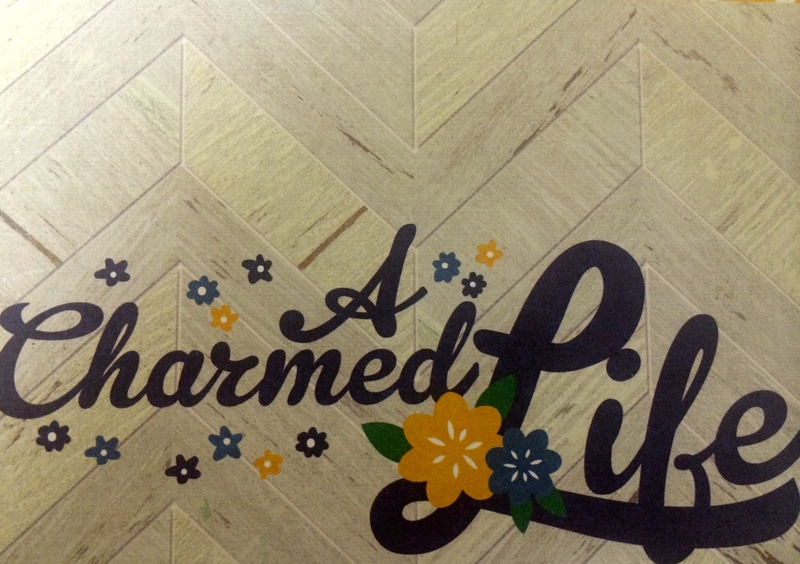 We just got in a bunch of new spring collections including Simple Stories, Bazzill, Authentique, Fancy Pants, Carta Bella, Crate Paper & more!!! We could not think of a better way to see the new crafting supplies and invitations but to have a Spring Open House and Crop Night this Saturday, March 22! The Open House is from 11 am till 3 pm and the Crop Night is at its usual 6 to midnight time. Come in and see what we have been doing with the store, our latest projects, new scrapbooking paper, gift items and invitations for spring! 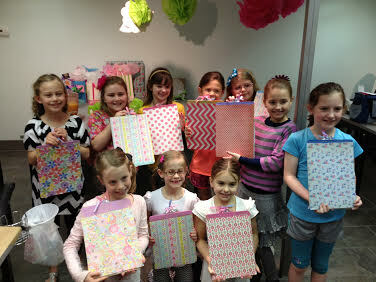 Grab a friend and your craft box and join us this Saturday for a fun-filled day! 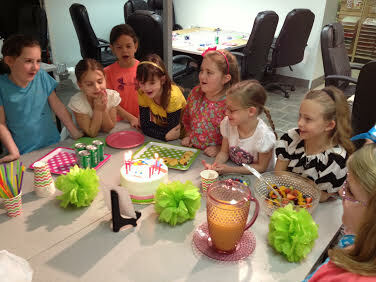 This past Saturday, we had two very fun birthday parties for some sweet gals! 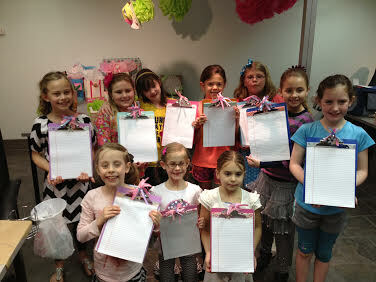 They had a great time creating custom designed clipboards! Check out what they did! And the Saturday before, miss Emma Ann had her very first birthday party! 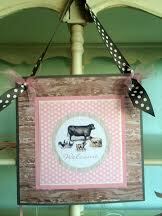 We enjoyed being a small part of her farm themed celebration! 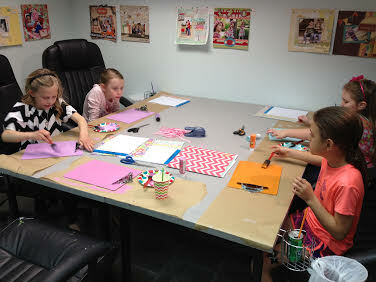 At Crop-Paper-Scissors we have a BLAST making personalized birthday banners, hats, invitations, and more! You dream it, we can create it! Come in and let us help you today! No idea what you want? 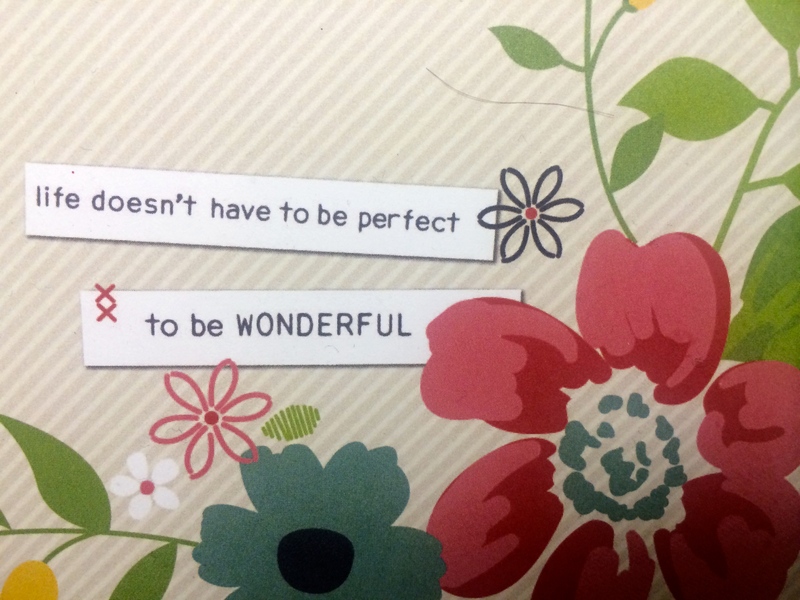 That’s ok too! 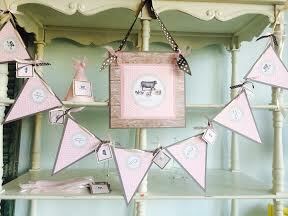 We have examples of what we have done for other bride-to-be’s, expectant mothers, and birthday boys and girls! 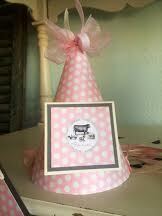 We also have SEVERAL huge books filled to the brim with styles for invitations, place settings, napkins, and more! 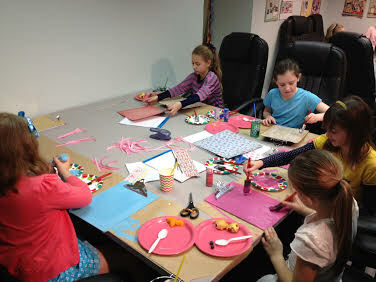 So come on in and create with us! Come in and see us!